Two Wii U Games Coming to 3DS…Why? If you managed to sleep in this morning, don’t worry – you missed a Nintendo 3DS Direct that didn’t really have a whole lot of unannounced game goodies. There were some nice surprises, amiibo-related and otherwise, but my biggest takeaway were the surprise announcements of two Wii U titles coming to Nintendo 3DS – and they weren’t games you’d expect to be ported over. Super Mario Maker (okay actually people have been speculating/asking for this since the original launch) and Yoshi’s Wooly World will be hitting the Little Handheld that Could on December 2nd this year for Super Mario Maker, and some time next year for Yoshi and Poochy’s Wooly World. As the name of the latter game suggests, there are some slight deviations to each game. 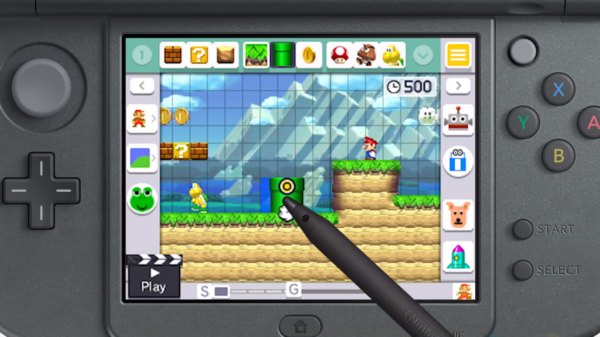 Super Mario Maker for Nintendo 3DS will be the exact same game that the Wii U version is; barring the amiibo functions and Mystery Mushrooms, online course upload and any noticeable upgrades to the game except for now you can collaborate levels with another player via local wireless, but more on that later. 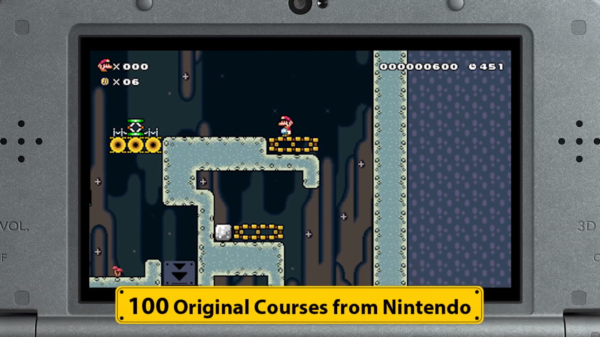 There are 100 courses pre-made by Nintendo for you to enjoy, and when that runs out of fun for you, you can make levels just like you could in the original game; speaking of the original game, the online course world is back so you can play Wii U levels sent to the online database, but you cannot search for them by ID specifically and from what we were told in the Nintendo Direct, the only real reason to do this is to try the 100 Mario Challenge. When you finish making your stage, you might want to share it with the world. 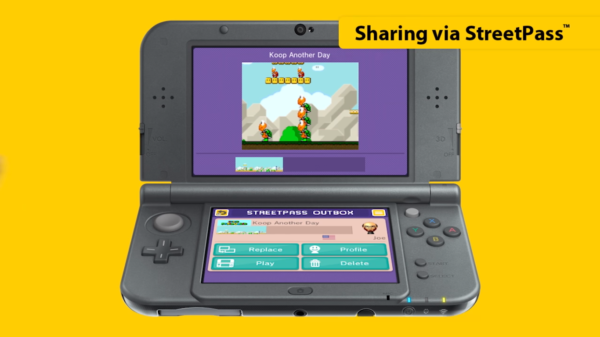 That’s not going to happen on the 3DS…you can share levels via Streetpass and local wireless only. Meaning if you have no friends around you that have any desire to make custom levels, half of this game is taken away from you. You’ll never know what kind of quality level you’d get from Streetpass either, and unless you’re spending a lot of time in a college campus or some other public place, or happen to be at a mall during a Streetpass Weekend that Nintendo does randomly, this feature doesn’t serve much of a purpose either. 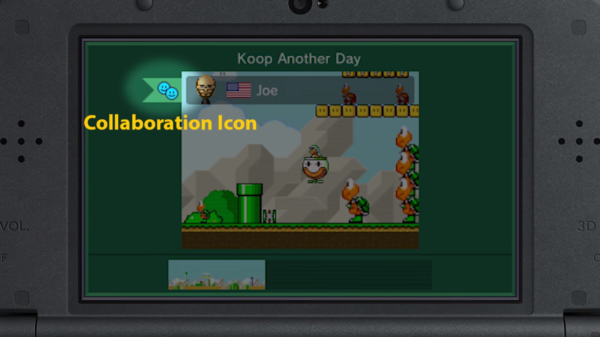 However, the one cool new feature is the fact that you can half-finish a level, send it to someone, and have them finish it for you and have the level marked with a collaboration icon. Unless this can happen while the level is live on both handhelds, this really isn’t any different than putting stuff down and passing the GamePad to someone else in the Wii U version. 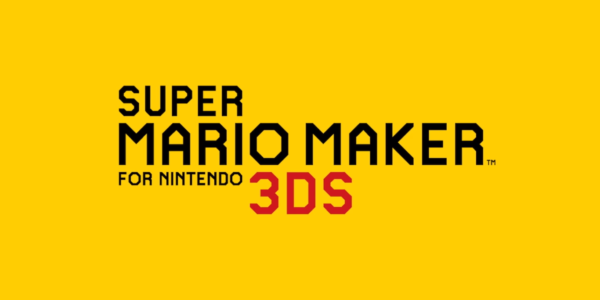 This looks to be a really lacking port of the game, but if you’re a big fan of Super Mario Maker I wouldn’t entirely rule out looking into this. This is absolutely adorable, though. If there were any reason I’d ever get a port of a game like this anymore (back in the day when Mario Golf on Game Boy Color actually had a purposeful reason to get it and play alongside Mario Golf on Nintendo 64, for example), it’s because it’s so gosh darn cute. 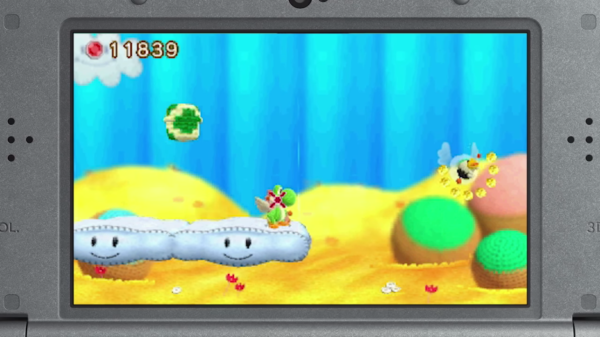 Yoshi and Poochy’s Wooly World will contain the entire Wii U game (though if it’s anything like Super Mario Maker, it won’t have amiibo support), along with new levels based entirely around the lovable pup, Poochy. 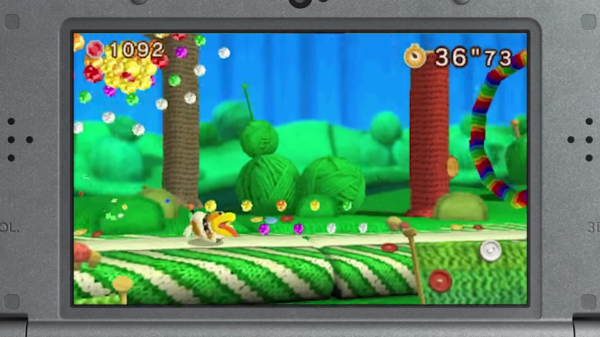 Thankfully, yarn is an easy graphic to port over so the game looks relatively nice on a handheld. I question the change for multiplayer in this game since it’s on a 3DS and there was no mention of local wireless, which is a huge turnoff for me since the only reason I buy games like this and Kirby’s Epic Yarn or Kirby and the Rainbow Curse is to enjoy the goofy 2-player insanity with my friends. BUT WE HAVE PUPPY POOCHY NOW TOO! Awww. These little guys will sniff out hidden features, kind of like what Poochy did in Yoshi’s Story. 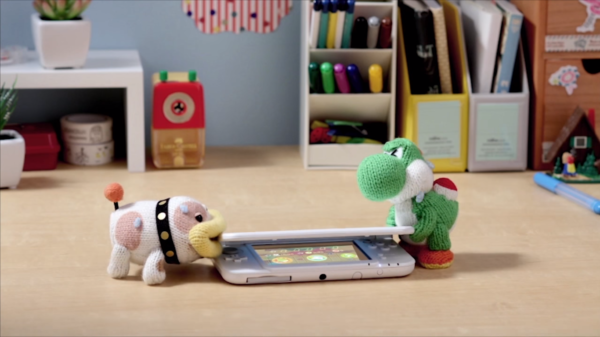 And we’re getting a Poochy amiibo, shown off in the first screenshot I posted. Along with this, there are going to be stopmotion shorts featuring these figures, and 30 of them will be included in the game when you purchase it. So if you are in need of some new cute, here you go! What worries me is the reason for these games even being ported. The Wii U is hurting and I won’t ever deny that and sales for these games definitely undermine the overall quality of them. But there’s something off-putting to me about getting a port of a game with a huge online infrastructure, and having that infrastructure taken away. I published an article this morning on Infendo.com (another wonderful Nintendo news website) detailing the announcement that Super Smash Bros. for Wii U is losing parts of its online functionality too. That and the sudden cutting of Splatfests in Splatoon makes me wonder why we’re losing so many features for popular games. What exactly is Nintendo thinking? The only positive idea I can take from this is that the NX will get some ports of these games, and since it’s likely going to be some sort of handheld hybrid Frankenstein monster according to the rumors, there may be some sort of 3DS compatibility (which would explain the fact that they’re going to support the console until 2018 and keep pushing features and updates into it) which would give Super Mario Maker for 3DS a reason to even exist. But hey, we’re getting a Mario Sports collection game next year!